Walking on a thin layer of ice is like cracking creme brulee. The sound and the feeling is exactly the same. 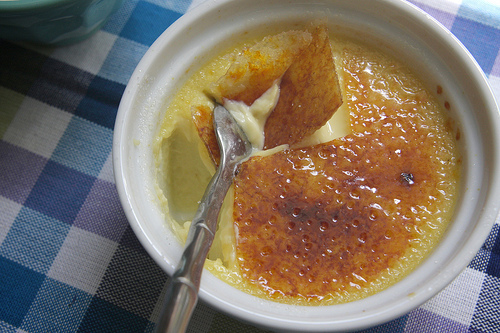 This entry was posted in dream, human, inspiration, life, secret and tagged creme brulee, food, human, journal, philosophy, thoughts. Bookmark the permalink.